Our thoughts become our feelings. Our feelings become our actions. Our actions create our reality. It’s time I changed my thoughts. Since I’ve knocked alcohol on the head, I’ve been reflecting on the reasons WHY I drank booze in the first place. I’ve learned a lot about myself and now know the core reason, underpinning everything, is that I was an emotional drinker. I’m beginning to turn my attention to the relationship I have with food because I’m getting frustrated over-eating. 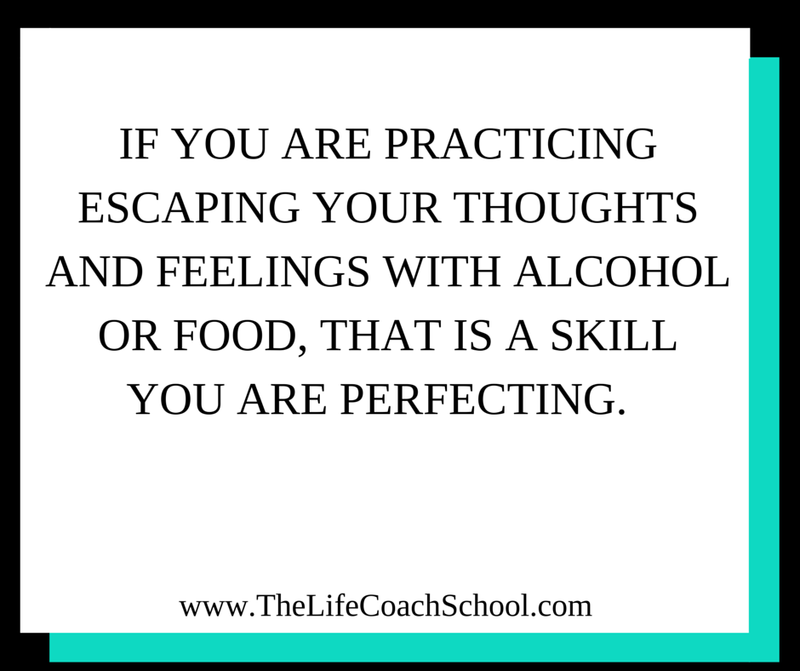 I’m experiencing the same negative side affects from binge-eating that I experienced after binge-drinking – the self loathing, regret, guilt etc. It always comes down to escape. I want to get away from reality for a while. I set myself up on the couch, in front of terrible telly, with either chocolate or cheese and crackers and ‘check out’ for a while. I don’t have any particular trauma to escape from. I’m a fairly normal person, a bit of a deep thinker, but I’ve never been physically or sexually abused or experienced something nasty enough to justify the need for escape. I’m not sure what to write next, because I don’t have the answers. I know the why (I over-drank and over-eat) but what’s the why behind wanting to escape? Maybe it’s natural? Maybe everyone wants to check out of reality for a while? I feel like if I know the deeper why, then I can stop over-eating. But then I managed to stop drinking alcohol relatively easy, so why can’t I release my grip on food so easily?